After scouring a couple of slow cooker jam recipes, I came up with my own version that included corn syrup. I don’t have pectin in the house so I did without as I knew from my limited confectionery experience (marshmallows and divinity) that corn syrup thickens up really well when heated. Yes this has a lot of sugar in it, but at least it doesn’t have any preservatives! 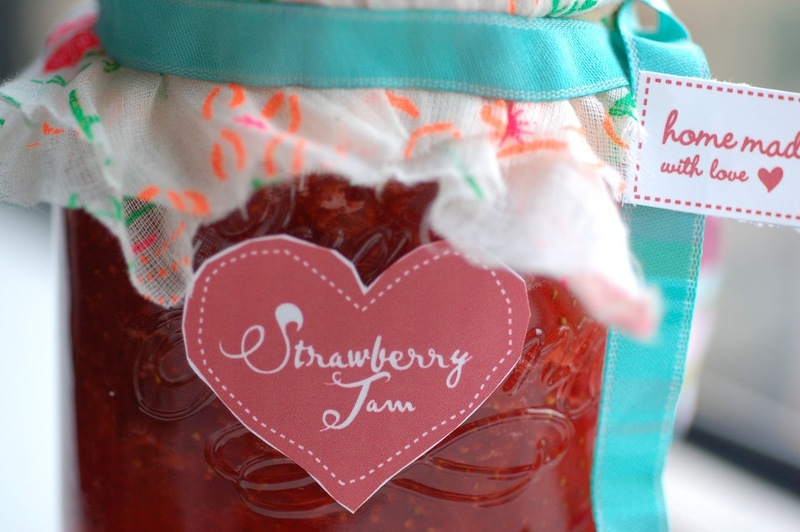 The jam came out beautifully and I had fresh strawberry jam on my toast for breakfast. I recommend that you start this early in the day. To make the slow cooker jam place the strawberries in the slow cooker pot. Pour white sugar and corn syrup over the strawberries. Give everything one or two good mixes and place lid on top. Cook on low for about 10-12 hours. After about 2 hours give the jam a good mix and replace lid. Repeat this about 4 hours later. After the time is up, pour the jam from the slow cooker into a glass container and cover with wax paper and a rubber band. It will be very liquidly and hot so please be careful. Place immediately into the refrigerator. The next morning after you have tasted your amazing slow cooker jam replace the wax paper and rubber band with a real cover.